SEO stands for Search Engine Optimization and this entails activities like white hat methods, black hat and grey hat. With SEO, you can also include link building or gain traffic organically. Every moment you are working on improving the performance of your site, you are doing SEO. This includes adding new content to your site and updating your Metadata. 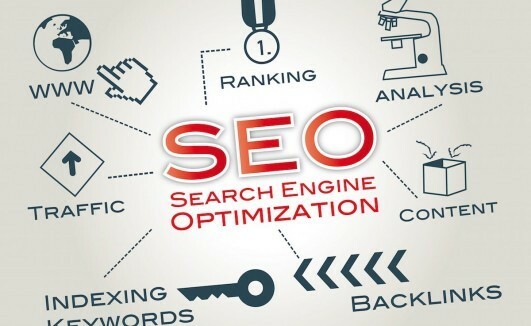 There are people with huge firms involved in SEO and they are dedicated to making other people’s websites SEO compliant for better search results ranking to generate organic traffic. You might not believe this but Google was not the best search engine. Yahoo was predominant as it provided search results to internet users in the 1990’s to the early 200’s. When using search engines, you will get desired websites by entering their URLs on the search engines search box or entering a favourable name which is usually referred to the keyword. This is the reason webmasters are spending sleepless nights working on their sites’ SEO to improve their search rankings to make their websites visible. A link is a clickable text that will lead you to a different section of the web. There are times when you will find webmasters linking to different parts of their site and this is done to make it easy for the visitors to navigate the website. When the links appearing on the site are to other web properties, these are referred to backlinks. When you have more links pointing to your site, you will be better placed to rank in search engines. Aside from steps that will be taken to build your site, everything else you do to make your site better will be taken to be SEO. Small things like changing your branding and site’s theme, this is SEO. Everything that you do to improve your website will be taken as search engine optimization. As mentioned above, everything you do to make your site better is SEO. As such, when you buy targeted traffic to your site, you will be optimizing your site for search engines. You can easily do this from our buy traffic section on our website and you will be one step ahead of your competition.